If you are using SmartAds in combination with the Unity SDK then you should enable Geo IP Location on the Edit Game Details page as the Unity SDK does not send user country data which is relied on by the SmartAds extension. The Unity SDK and SmartAds extension can be downloaded from the deltaDNA public repository on GitHub. The repository contains the sources for both the analytics and SmartAds SDKs. They are packaged into separate unitypackages for easy installation. The analytics SDK can be installed independently, but SmartAds depends on the analytics SDK. The unitypackages can be downloaded directly from GitHub by clicking the filename and then view raw. Import into Unity with Assets->Import Package->Custom Package menu command. The analytics SDK is supported in both Unity 4 and Unity 5, whereas SmartAds is only supported in Unity 5. The SDK will automatically request Ads in the background so there should be an Ad available when your game is ready to display it. Integrating SmartAds into your Unity project requires native code extensions which we supply separately. 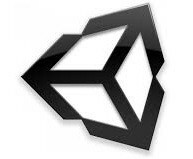 To add the Unity extensions download and import the deltadna-smartads-*.unitypackage . We support iOS and Android platforms. Further information on using SmartAds and the supported Ad networks can be found in the Smart Ads Reference section of the documentation portal. The quickest way to learn how to use SmartAds is to checkout out the example scene in Assets\DeltaDNAAds\Example . The AdsDemo class shows how to use both interstitial and rewarded ads. Support for SmartAds is enabled by calling RegisterForAds . This must be called after starting the analytics SDK. The DDNASmartAds class defines a number of events which you can register callbacks with to be notified when an ad has opened or closed. You can test if an interstitial ad is ready to be displayed with DDNASmartAds.Instance.IsInterstitialAdAvailable() . Show an interstitial ad by calling DDNASmartAds.Instance.ShowInterstitialAd() . You can test if a rewarded ad is ready to be displayed with DDNASmartAds.Instance.IsRewardedAdAvailable() . Show a rewarded ad by calling DDNASmartAds.Instance.ShowRewardedAd() . Callbacks can be added to the following events to be notified when an ad has opened or closed. OnDidRegisterForInterstitialAds – Called when you have successfully enabled interstitial ads for your game. OnDidFailToRegisterForInterstitialAds – Called if interstitial ads are unavailable for some reason. A string parameter reports a possible error. OnInterstitialAdOpened – Called when an interstitial ad is shown on screen. OnInterstitialAdFailedToOpen – Called if an interstitial ad fails to show. OnInterstitialAdClosed – Called when the user has closed an interstitial ad. OnDidRegisterForRewardedAds – Called when you have successfully enabled rewarded ads for your game. OnDidFailToRegisterForRewardedAds – Called if rewarded ads are unavailable for some reason. A string parameter reports a possible error. OnRewardedAdOpened – Called when a rewarded ad is shown on screen. OnRewardedAdFailedToOpen – Called if a rewarded ad fails to show. OnRewardedAdClosed – Called when the user had closed a rewarded ad. A boolean parameter indicates if the user had watched enough of the ad to be rewarded. You can add control of which kinds players see ads by using Decision Points. Show an ad with ShowInterstitialAd("pointInGameToShowAnAd") or ShowRewardedAd("anotherPointInGameToShowAnAd") , and register the decision point in Portal. The SDK will ask if the segment this player is in should be shown the ad or not. It’s worth using decision points when you first integrate, if the decision point is not registered, it will be ignored and the ad always shown. We use CocoaPods to install our SmartAds library plus the 3rd party ad network libraries. A minimal Podfile is included in DeltaDNAAds/Editor/iOS. It will add our iOS SmartAds Pod to your XCode project along with all the ad networks we support. A post process build hook prepares the XCode project Unity generates to support CocoaPods and adds the Podfile to the iOS build directory. You must run pod install from the command line to install the Pods. Finally open the Unity-iPhone.xcworkspace created by pod install. A pods.command file is also included that runs the pod install and opens the XCode workspace for you. The included Podfile will install support for all the ad networks deltaDNA supports. You can customise the Podfile to download only the ad networks you require by using Subspecs. The process is the same as for the native iOS SmartAds SDK and more details on customising the Podfile can be found there. We provide a Python script to help manage the 3rd party ad network dependencies. In Assets\DeltaDNAAds\Editor\Android , edit config.json to include the networks you wish to integrate. Then from the command line run download.py . This will download and copy the dependent AARs and Jar files into the Assets\DeltaDNAAds\Plugins\Android folder. Unity will pick these up when you build the APK. The SDK already pre-packages some dependencies for Google Play Services under Assets\DeltaDNA\Plugins\Android for push notifications (as well as SmartAds). If you would like to use your own version of Play Services, then you should remove the dependencies (ie play-services-base-7.8.0.aar, play-services-gcm-7.8.0.aar, etc) in order to avoid duplicate class definition errors during the build stage. Please note that we cannot guarantee other versions of Google Play Services than 7.8.0 to work correctly with our SDK.